﻿﻿Mennonite museums are opening up like sunflowers in Southeastern Ukraine. In the Molotschna area we have three school museums, two city/ town museums and one private musuem. The town of Vasilievka has an excellent museum with a few German artifacts, and of course Zaporozhye has a signifcant display of Mennonite artifacts in their city museum. The school museums often are the most fascinating. 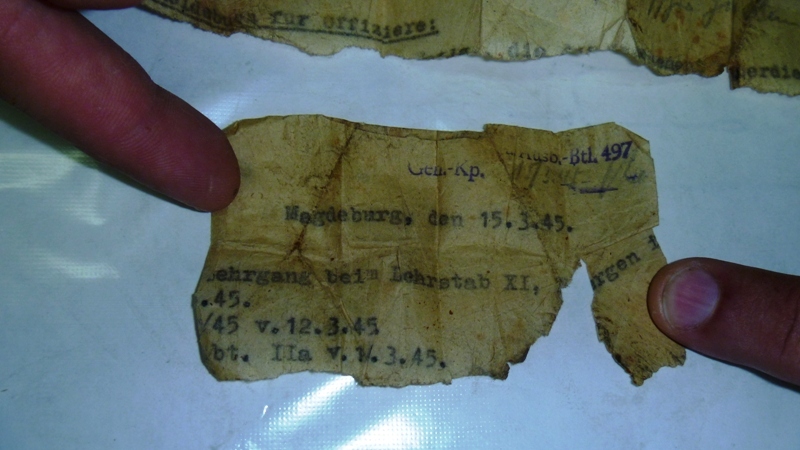 Children from former Mennonite villages are encouraged to bring artifacts found in their homes. This week the history teacher from Udarnik (Neukirch) showed me a pocket watch which was recently brought in. 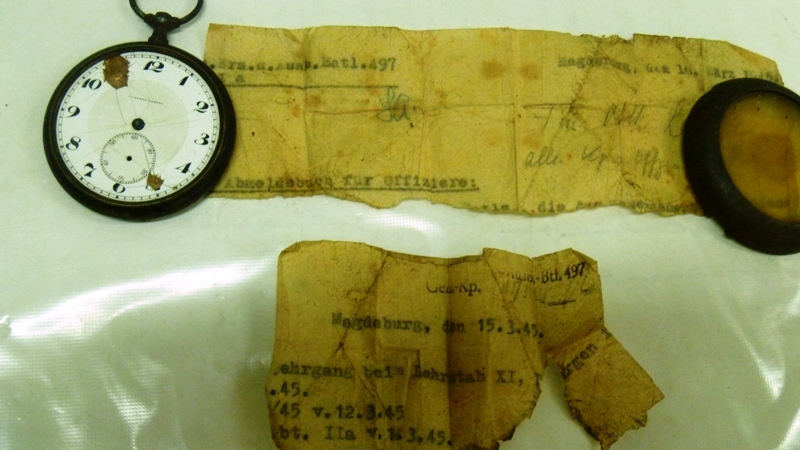 The watch case itself was in pretty bad shape, but behind the watch, under a piece of leather-like material, were two folded scraps of paper which told a story. 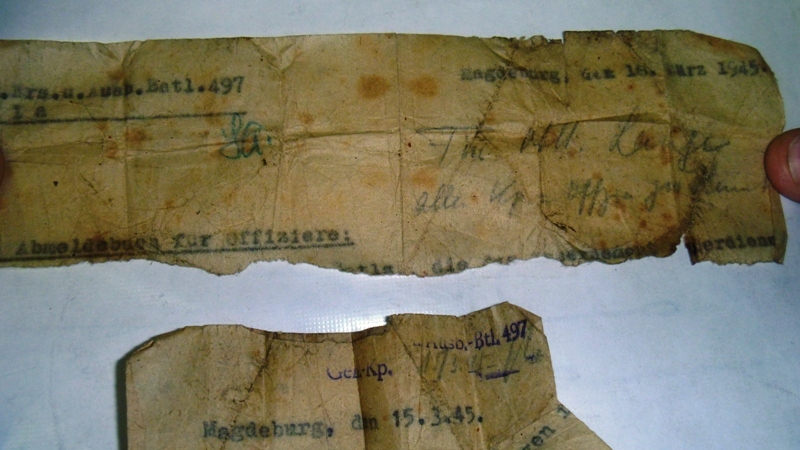 The papers looked offical and had typewritten notes and some scribbled notes, all in German. Board member Walter Unger suggests that the watch probably originally belonged to a German officer in WWII, who could well have fought in the final defense of Germany. He may have been killed in action, the watch removed by a Soviet soldier who brought the watch back to Udarnik. The date of 1945 is typed in the document. ﻿﻿ The other artifacts come from Vasilevka, a town half-way between Molochansk and Zaporozhye. The Director said, "do you want to see a Mennonite icon?" Now, I was expecting a picture either of Menno Simons, Board member Harry Giesbrecht or boys playing crokinole while "distributing" sunflower shells. Surprisingly, he showed me a picture of Mary with the baby Jesus and probably Joseph. 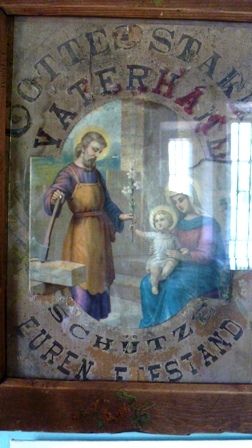 There is a German inscription which says something like "God's strong father's-hand protects your marriage." 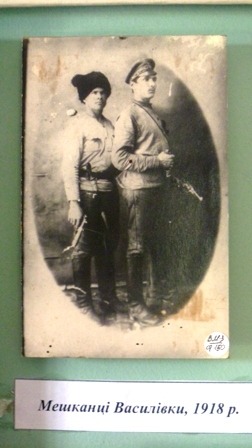 What was somewhat disconcerting that this "icon" was placed right beside a photograph of two young men who apparently were bandits/anarchists involved in the plundering raids on Mennonite villages during the Bolshevik revolution. In fact the Director claimed that many Mennonite items stolen from homes during this time were brought to Vasilevka for redistribution. I am skeptical that the so called icon necessarily came from a Mennonite home. After all, this area was also populated with Catholic and Lutheran Germans. But the irony of having these items side by side is telling. Nearly 100 years later the memories still hurt, but we want to be involved the reconcilation process. Your support and the goodwill extended by so many Ukrainians makes this a very satisfying process. Check our website at http://www.mennonitecentre.ca/ for more information on our work and how you can help. Hello, I am Glen Ediger, working on a research project. (see info at www.threshingstone.com) I am trying to locate and contact the history teacher in Udarnik (Neukirch) who was involved in the threshing stone monument. I ran across you blog and see that you talked to him. Do you have is name and any contact information. Thanks for any help.